The stitching! The layers! The colors! Oh my! 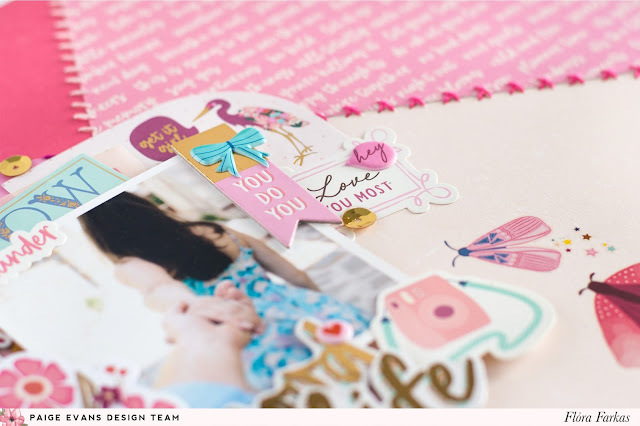 I LOVE this new layout by Design Team member Flóra Farkas that she's sharing here today! Hi girls! It’s Flóra here today and I am sharing a new page made with the beautiful Pick-Me-Up collection. Since it’s almost Valentine’s Day I am in the mood to use pink, pink, and more pink! 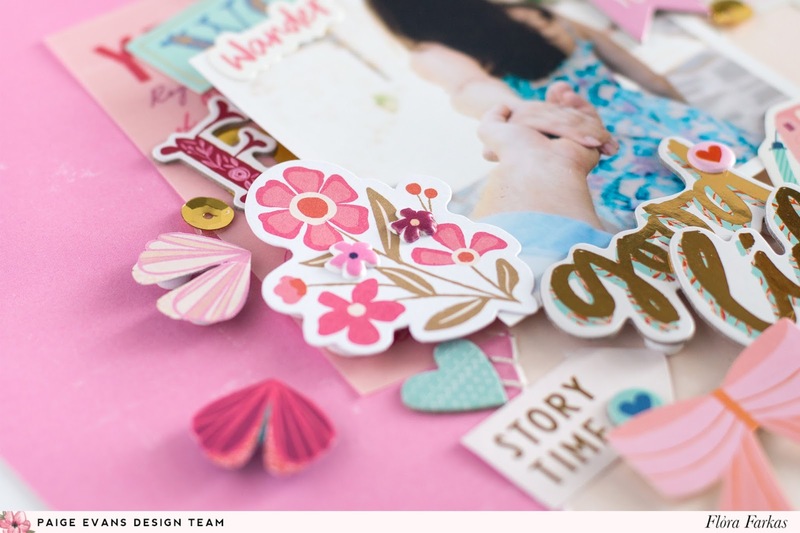 I chose Paper 05 for my background which features warm tones in a patchwork style. I found one of the sections too dark for what I had in mind so I replaced it with a slice of Paper 17 which is also pink and has a handwritten text on it. I really love it. The background paper has printed stitches on it so I brought them to life with hand stitching. Once the hand stitching was done, I placed my photo on the intersection with foam tape and started to embellish around. I used many layers and different products. I added Cut Apart Vellum Paper and a Journaling Spot to the back layer and I also added Ephemera Die Cuts and pretty Stickers. I love the tiny Puffy Stickers so I placed them here and there along with gold sequins from the Haberdashery Multi-Pack. I am big fan of Rub-Ons so I used many of them on my layout: I added moths on the right and little stars behind them. They look so magical. 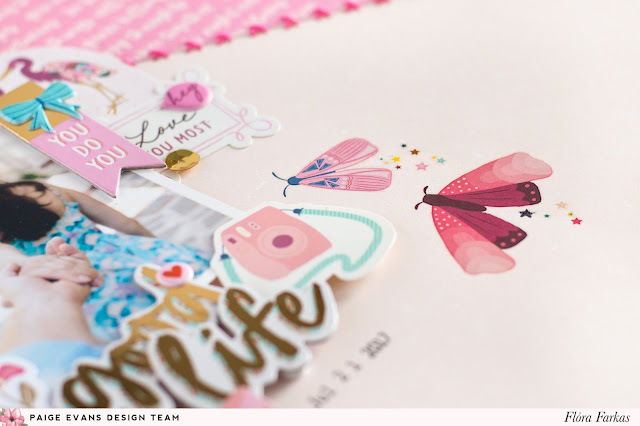 I needed more pink moths for my page so I fussy cut few from Paper 14. Thanks for stopping by today! I can’t wait to share my next page here made with the prettiest Pick-Me-Up collection. 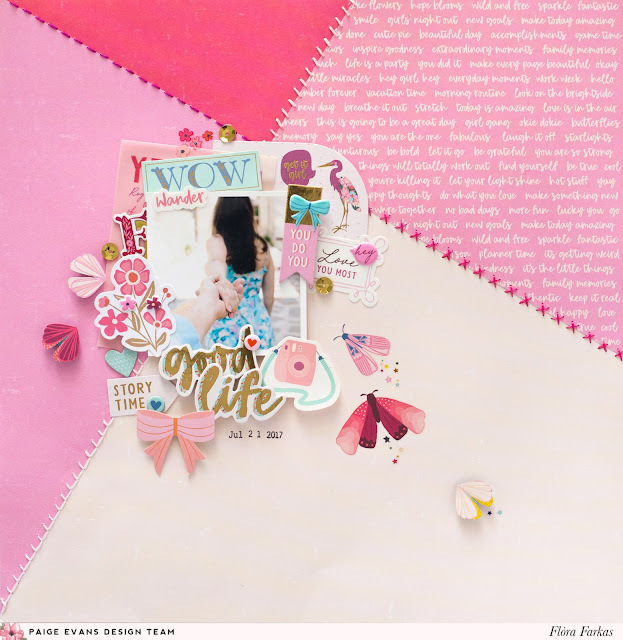 I love the hints of blue scattered throughout the page which balances out all the pink so nicely!! I'm with you Paige ... the colors, the stitching, the layers!!! All GORGEOUS!!!!!!!!!!!!! !